Good sized, west-facing apartment set in gated urbanization, offering 2 bedrooms & 2 bathroom (one of which is ensuite). Mid-floor fully furnished property, with fully fitted kitchen and marble floors. 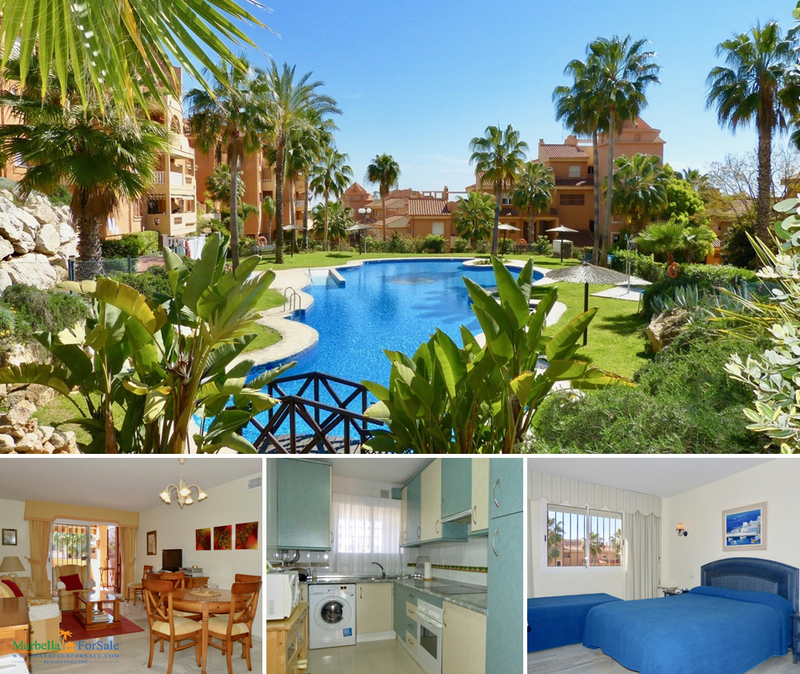 This lovely penthouse apartment situated in Reserva de Marbella has 2 bedrooms and 2 bathrooms. It also has a 75m² roof terrace with no overlooking properties. It is very private and perfect for lazing in the sun! The property has a built area of 97m². It also has hot/cold air conditioning, satellite TV, storage room, ensuite bathroom, marble flooring and double glazing. 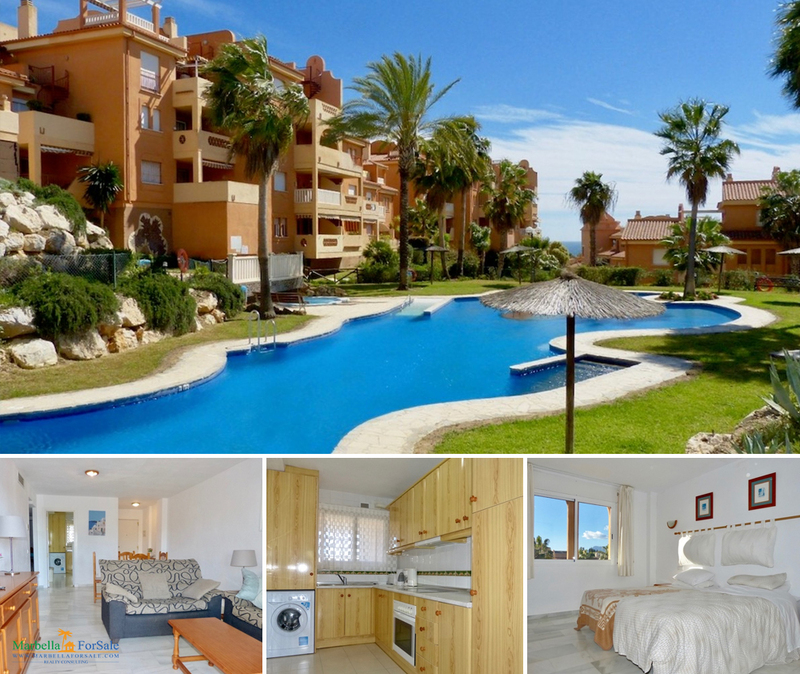 Amazingly, this fantastic property is priced at only 150,000€! 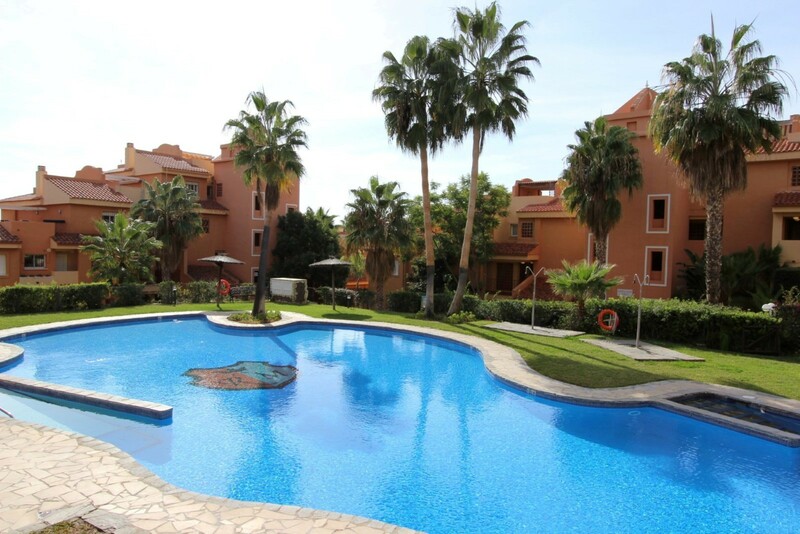 Call +34 952 907 386 or email us on info@marbellaforsale.com to arrange a viewing. Click here for full details and more photographs.